Beasts | WorstPlans.com updates every Monday! Is the origin of the necktie to be found in the Old Norse word “šnæktie,” literally meaning “snake tie”? Technically speaking, it is not possible to disprove this assertion with 100% confidence! The necktie is, in modern society, a useless relic of a bygone era. But it could still be redeemed! While the necktie serves no purpose currently, it occupies valuable clothing real-estate that might be put to better use. Specifically, a snake could be trained to coil itself around the user in such a fashion as to approximate the shape of a necktie. Then, this snake could be trained to leap away from the user and chomp on anyone who was assaulting the user; essentially serving as a “concealed carry” guard animal. This could reduce the number of robberies and other assaults, since criminals would be unable to distinguish between easy marks with garish ties and “concealed snake-tie protected” individuals. Fig 1: This attractively patterned spitting cobra would make a fine snake tie. While snakes are relatively neglected in the world of animal training, this could be the opportunity for the snake to rehabilitate its poor reputation. PROS: Could reduce crime and decrease the user’s prejudice against venomous reptiles. CONS: Snakes may have difficulty distinguishing between random passersby and legitimately threatening individuals. One weird trick that the FAT CATS don’t want you to know. By which I mean actual cats who are fat. If you have a pet, it’s probably overweight. Sorry to have to break the news to you this way. Your cat / dog / snake / whatever probably does not get enough exercise, and you most likely compound the problem by over-feeding it. Fig 1: In the wild, food isn’t found in conveniently-labeled bowls that don’t fight back! Luckily, there is a solution: instead of just allowing your pet to eat in peace, make it earn its meal by eating out of a special motorized food bowl that constantly tries to escape. 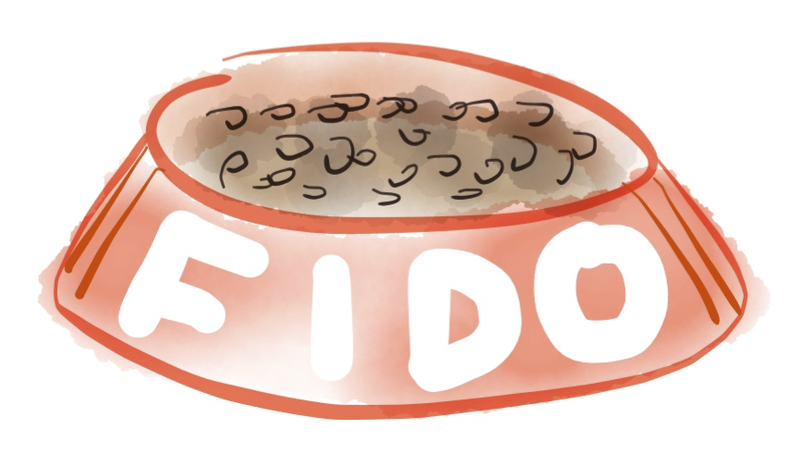 More complex versions might include a food bowl on a remote-controlled toy car, a food bowl on spider-like appendages (see Fig. 2), or even a quad-copter drone with attached food bowl (see Fig. 3). * Your pet gets some additional exercise. * Your pet’s hunting instinct is satisfied. This is the same principle involved in chasing a laser pointer. 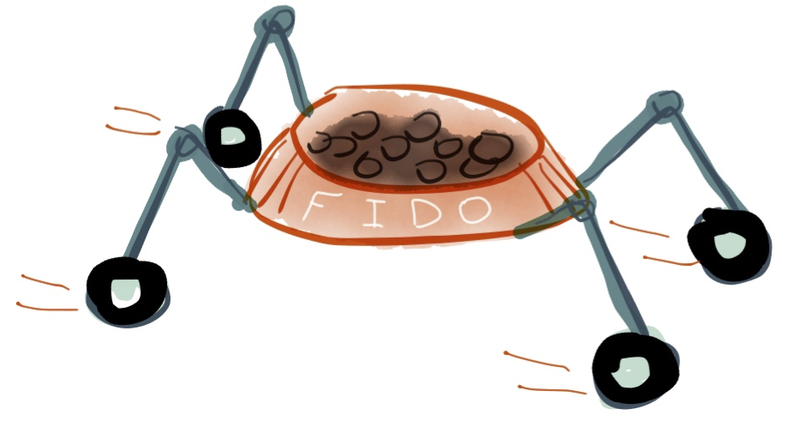 Fig 2: A food bowl could be placed on motorized robotic legs, possibly with wheels on the bottom, to allow the bowl to make a quick getaway in any terrain. Fig 3: The quadcopter variant opens up additional options for pet-food-acquisition difficulty, but may be difficult in a normal sized house. Beware of using this with pet birds, as contact with rotors may not be beneficial to avian physiology. PROS: Your pet can become the apex predator that it was destined to be. CONS: If your pet becomes too skilled, it may supplant you as ruler of the home, eventually leading to the same “Planet of the Apes” scenario seen in the “train your pet to bite you if you procrastinate” idea.